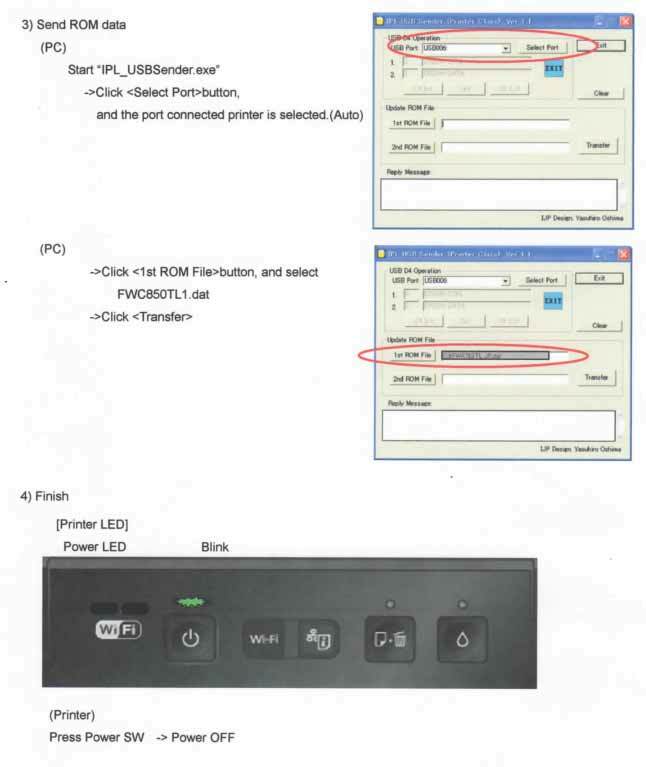 Home » Service Manual Catalog » EPSON Service Manuals » Epson Firmware » FW_1430 I have paid for Reset Key but not received yet. 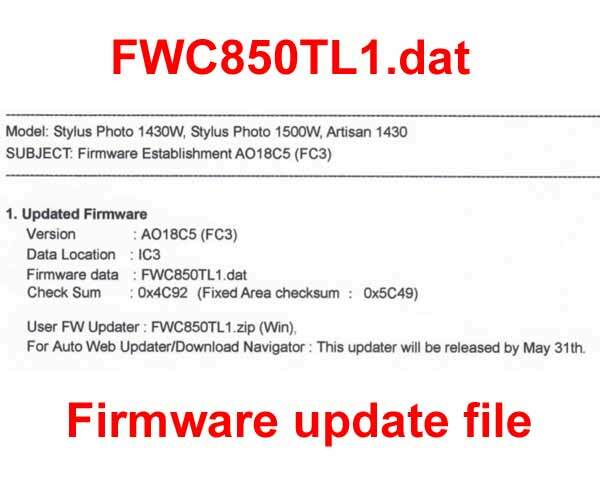 Epson FirmWare UPDATE File is used to update the Epson Artisan 1430, Photo 1430W, Photo 1500W printers firmware after motherboard replacing or just firmware updating. Please contact us if you have not received your order or have other questions. Dear Sir, I need this Service Manual for D3000 and i couldn't fine away how to add this to my shopping card. please Advice. I got the flashing lights and Service required message on my Epson R2400, as many others have before! 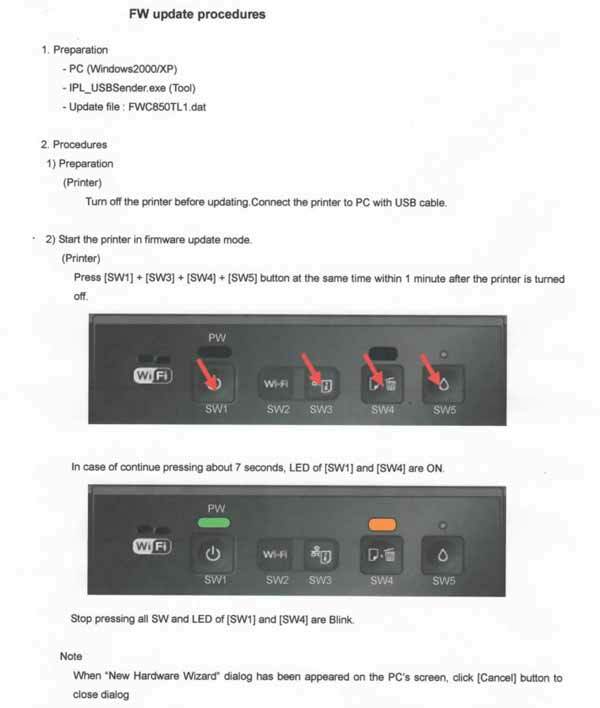 I spent hours online and eventually managed to download Epsons own Adjustment Program. It showed me the waste ink settings but would not let me reset the counter, although I had disconnected the feed tubes and re-routed them to an external bottle. Today I found 2Manuals.com and downloaded their WIC reset program. I thought It probably won\'t work but one key is only $9.99 so what the heck! Well that was the best $9.99 I have ever spent - as soon as I entered the key and hit RESET the printer whirred into action, ink pumped into my waste bottle and I am back in action! This has saved me a lot of money and the hassle of sending the printer to an Epson service centre. Truly a 5***** product! Chris Porteous, Prestatyn, U.K. I have just downloaded the adjustment program for epson tx800fw it took 2 minutes to reset the printer and it is back up and running. You guys are the best Thank you.